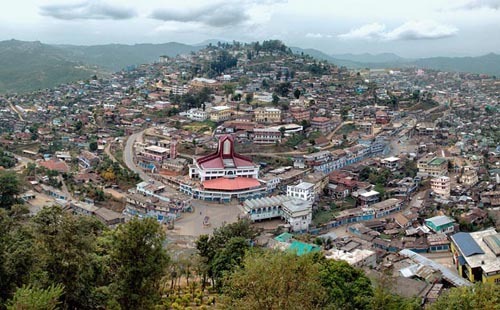 Kiphire district in Nagaland has been selected as one of the aspirational districts in the country by the Government of India. This is to bring in prosperity and make it an economically sound district in the state as well as the country. This was informed by Kiphire deputy commissioner Mohammed Ali Shihab during the Krishi Kalyan Abhiyan distribution of soyabean minkits and rajma in Kiphire district agriculture office on Tuesday. Shihab encouraged the 25 villagers who attended the programme to identify the unique strength of their community for economic growth. Stating that the cultivation in the district is mainly focused on rajma and maize, he said the district administration will carry out inspection of the crops along with district agriculture department and the best grower village will be awarded. The DC also exhorted the villagers to make their villages model, green as well as clean villages. Shihab also informed the villagers to be prepared with presentations when the department officers visit their villages. The DC thanked Dr K. Manoharam, director, directorate of jute development, Union ministry of agriculture and farmers welfare, Kolkata for visiting the aspirational district. Joint director, directorate of agriculture, K. Renphamo Kikon said the state agriculture department is working out plans for the public to grow good crops and to maintain their economic growth. He also informed that the department has constructed a seeds distribution centre attached to the Kiphire district agricultural officer’s office. He also assured to construct another seeds distribution centre in the district and encouraged the villagers to use organic manure for their crops.